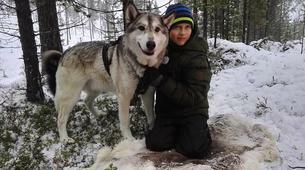 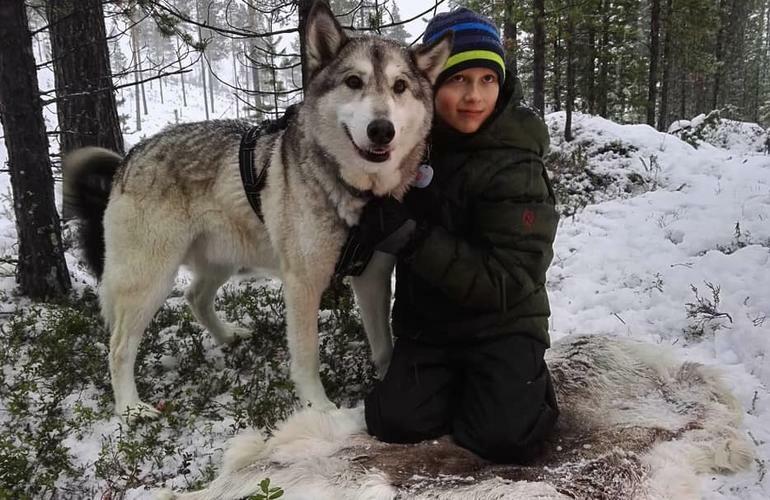 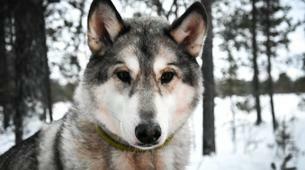 Combine fun and adventure with some adorable huskies in this exciting dog sledding adventure in the Lapland near Törmänen. 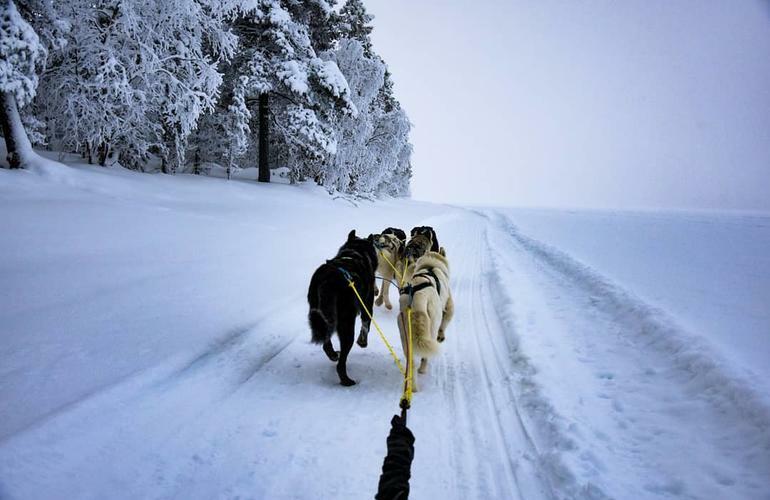 Imagine sledding through the winter landscape of the Lapland with the sound of some friendly huskies breathing into the quiet air. 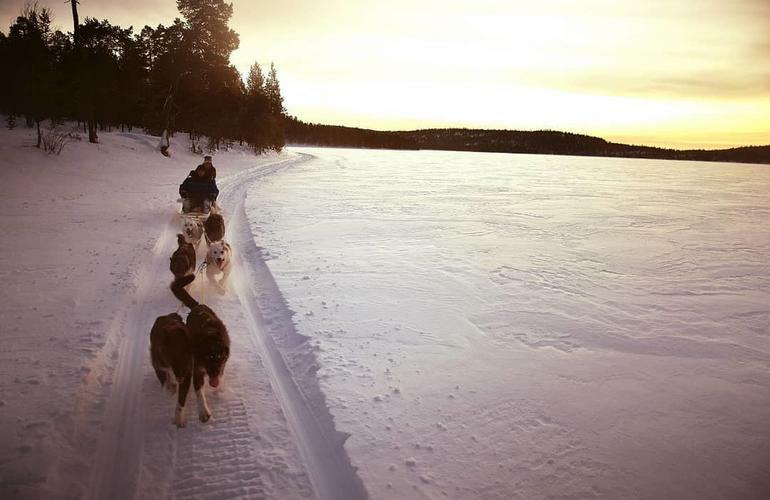 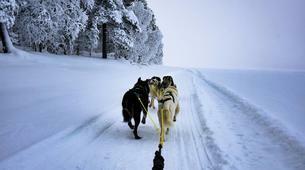 A peaceful moment like this is what makes dog sledding so special. 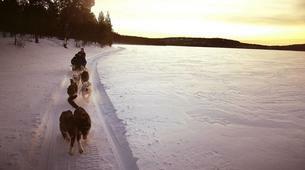 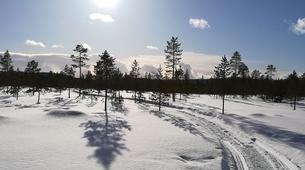 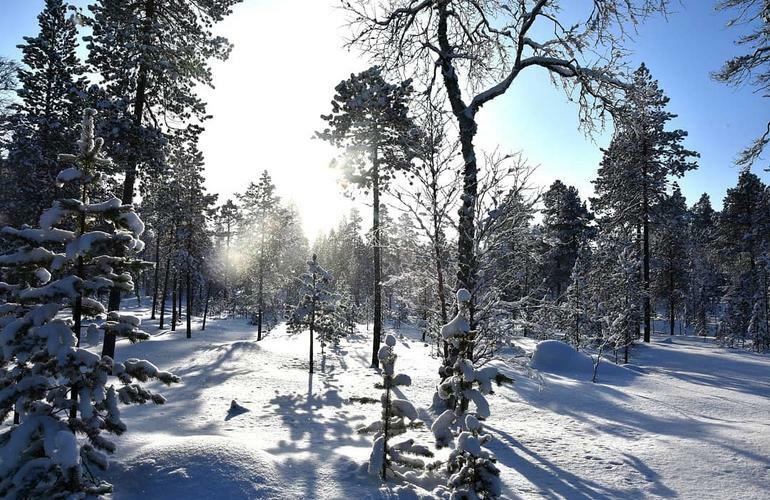 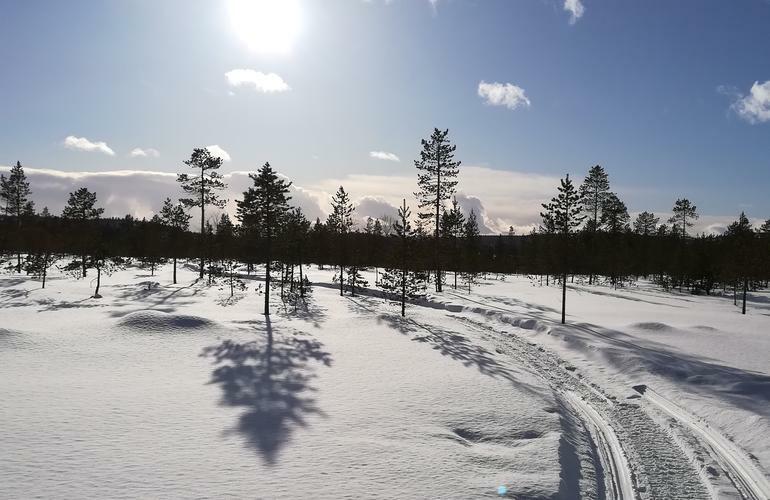 This truly unique experience is made richer by the Lapland’s stunning beauty. 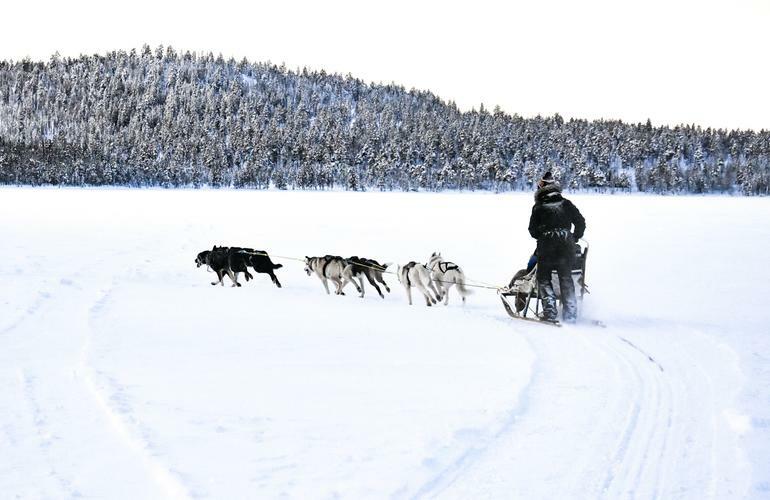 Dog sledding does not create any air or noise pollution, it will be just you, the frosty stillness, your expert guide, and the majestic huskies. 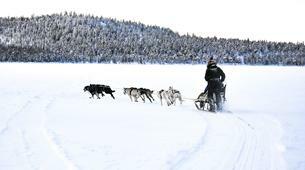 Your instructor will pick you up from your accommodation near Ivalo and take you to the dog sledding area, about 10 km south of Ivalo. 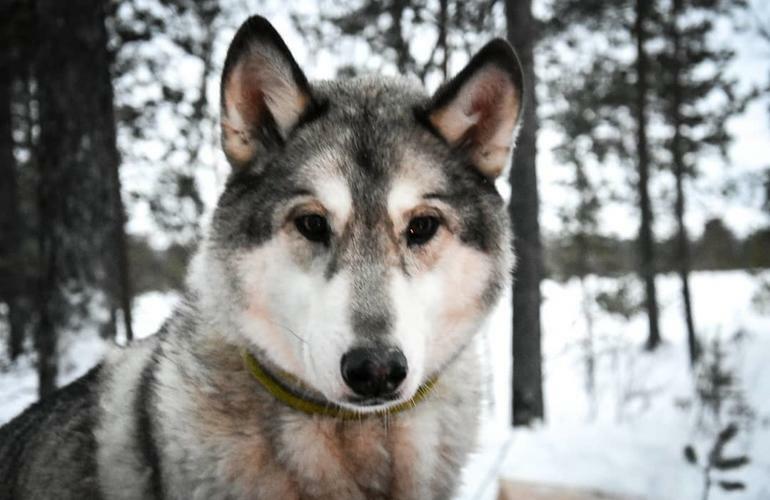 You will find yourself surrounded by the quiet and peaceful forest…and a bunch of adorable dogs! 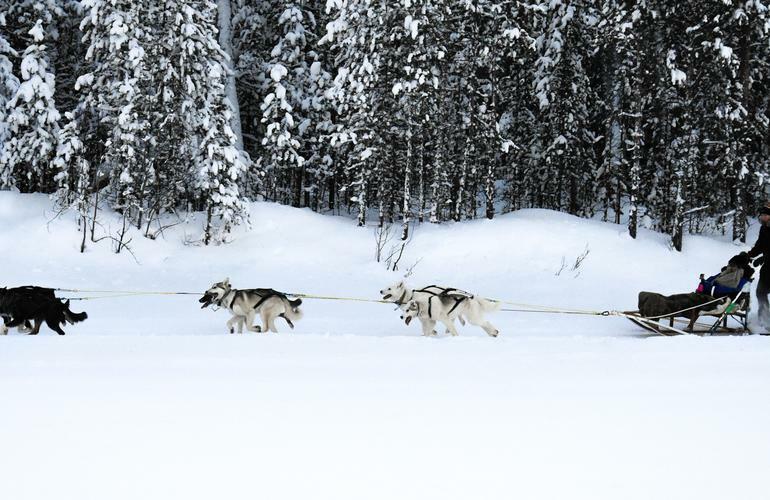 You will have some time to meet the pups, get to know your instructor, have a hot beverage, some snacks, then set off into the snow! 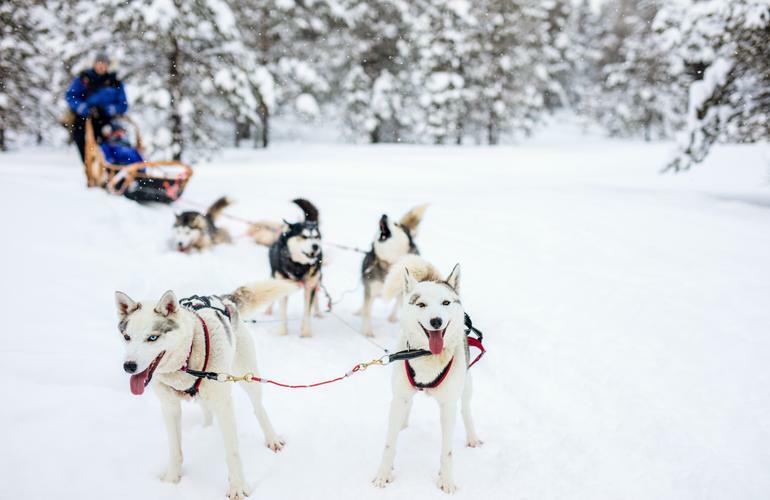 You can choose your sledding activity based on length of time, ranging from half an hour to two hours. 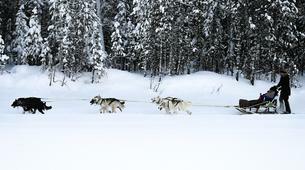 Do not miss out on this serene and unique adventure. 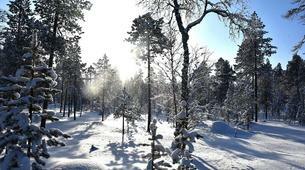 Winter clothing rental is available at a €15.00/person surcharge. 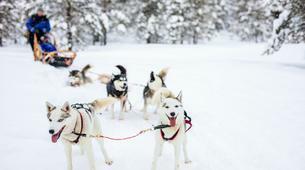 Please consult with your instructor if interested in renting.